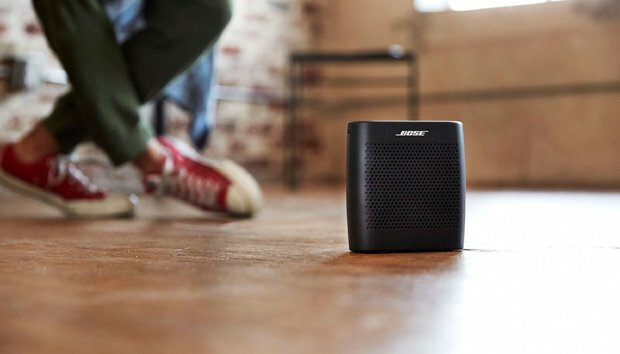 The SoundLink Color from Bose is designed to be portable and durable, while still delivering the full, rich sound you would expect from Bose. Pairing is easy with simple voice prompts, and the unit can be paired with two devices, so when the first stops the second one can play. It comes in several stylish colors, has an auxiliary input jack for non-Bluetooth devices, and delivers up to 8 hours of music on a single charge. The speaker averages 4.5 out of 5 stars from nearly 5,000 customers (read reviews) and can be purchased at 10% off its regular listing price ($116 - See on Amazon).